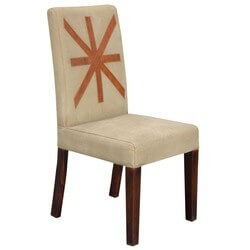 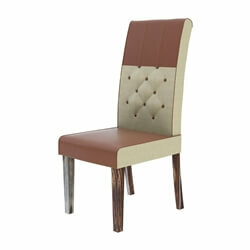 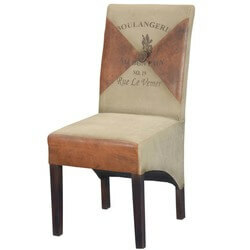 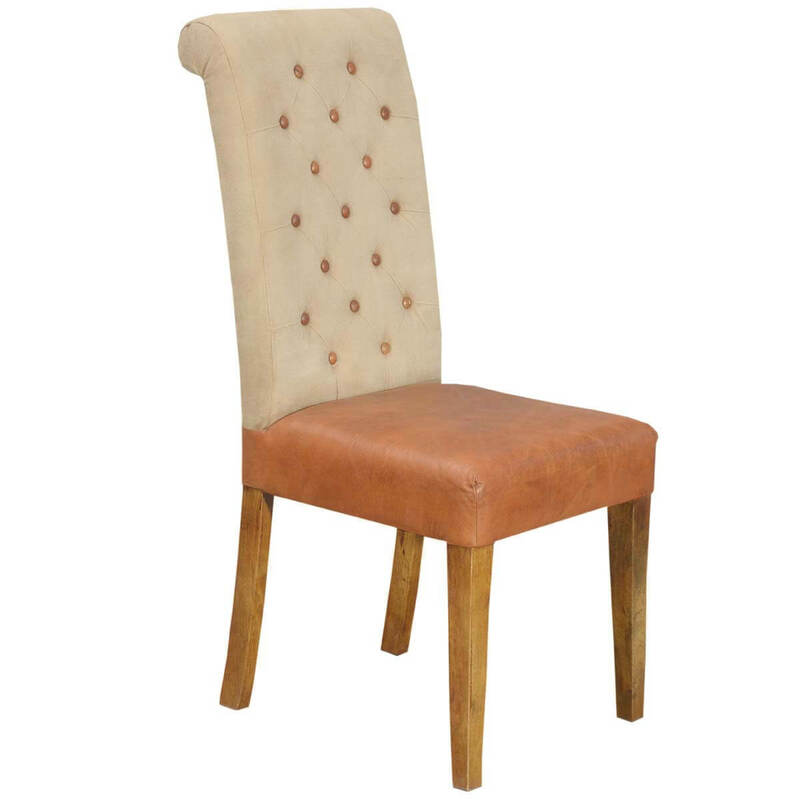 This refined tufted leather button tufted Parson dining chair has a comfortable air of casual elegance. 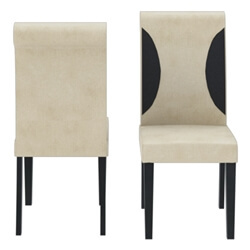 The backrest is rolled, tufted with leather button detail and covered in a soft gray canvas. 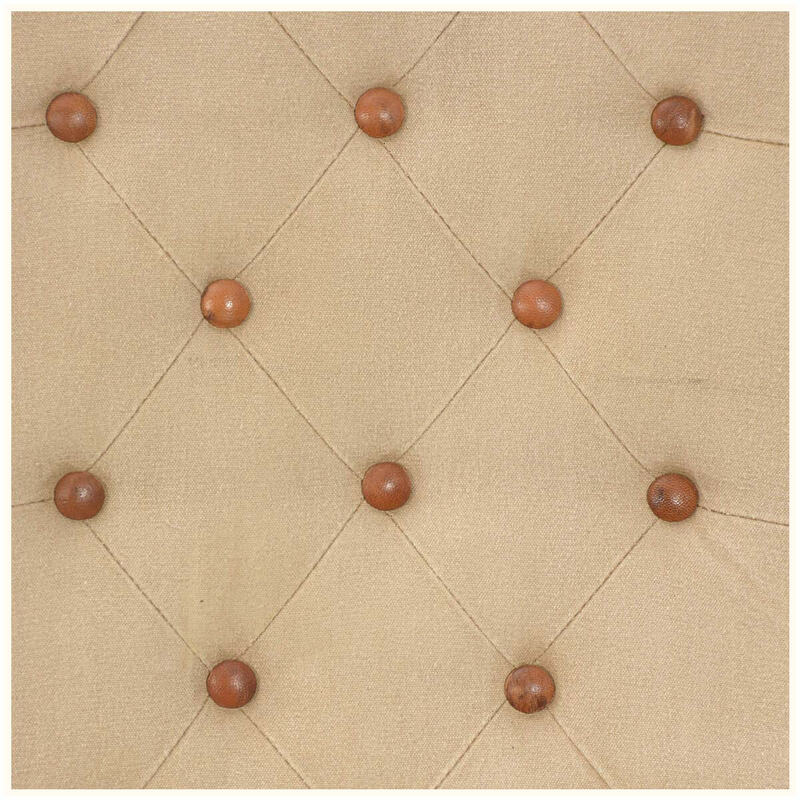 This is sure to be a favorite in your home. 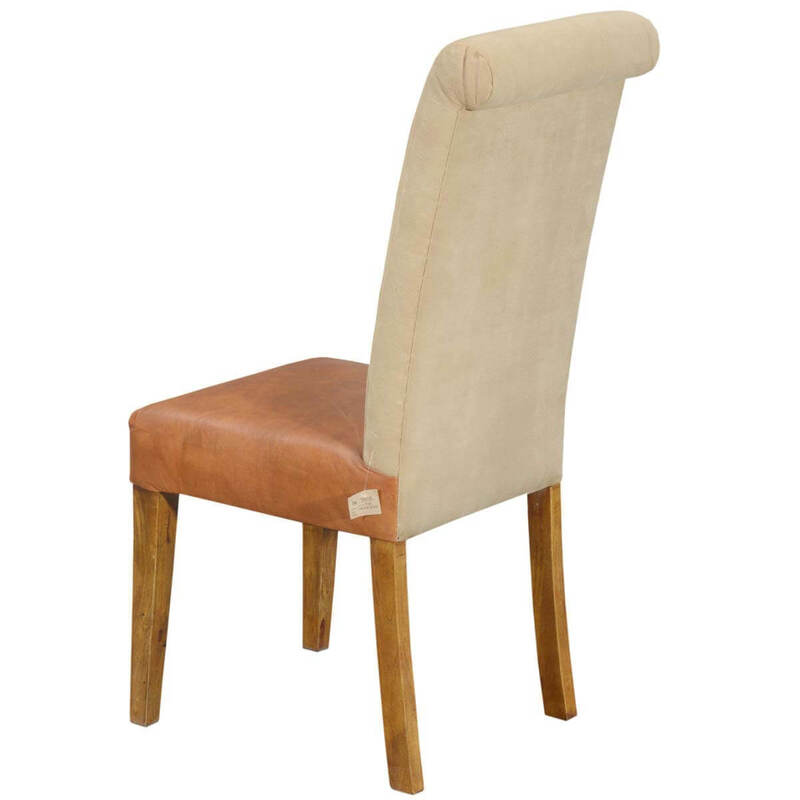 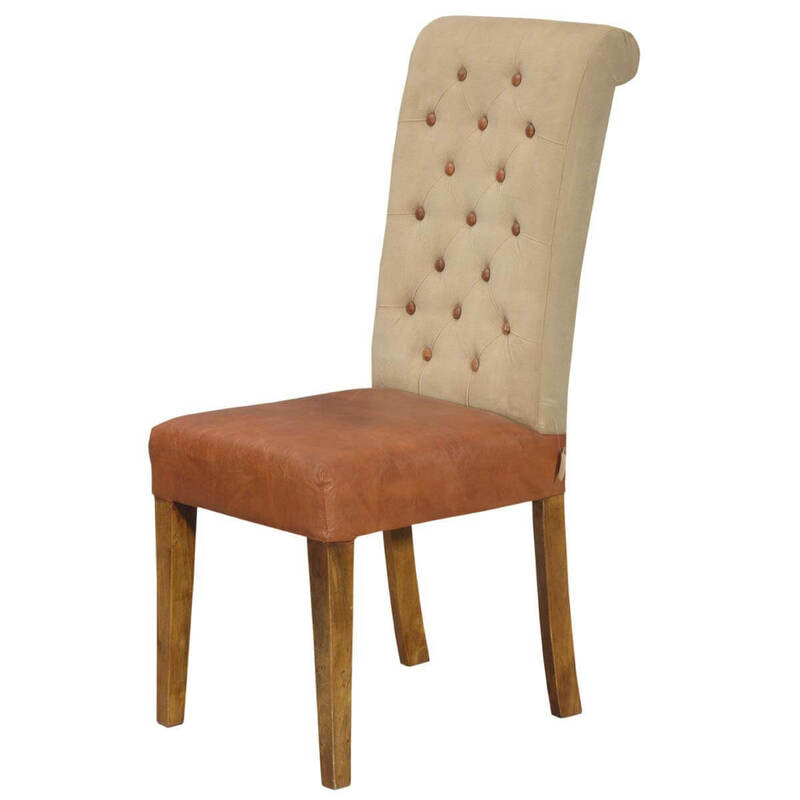 The Parson dining Chair with tufted backrest has a soft but durable leather seat and Mango wood slightly tapered legs in a Medium brown finish. 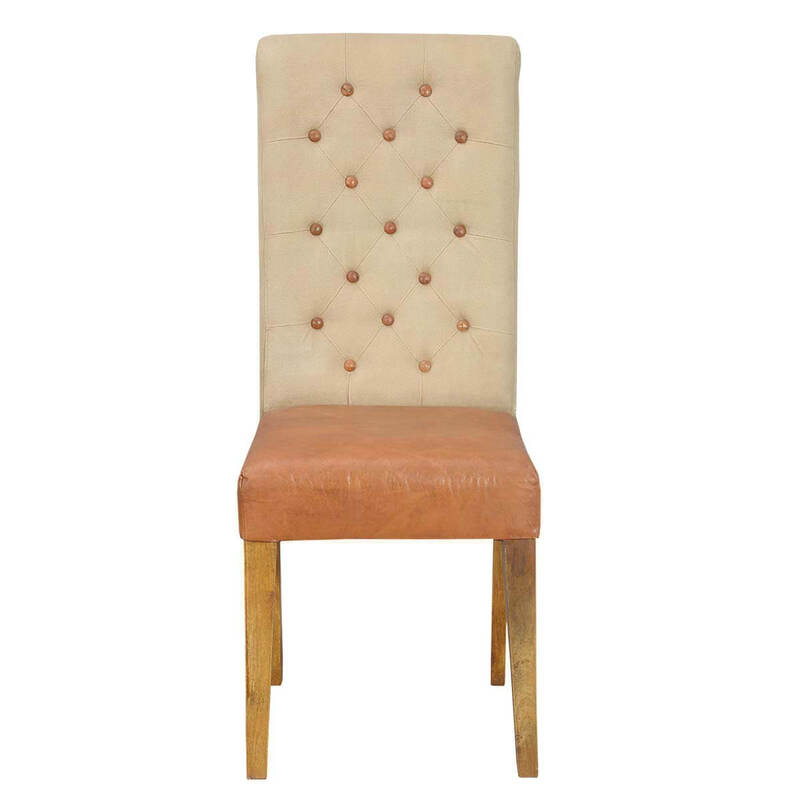 Our Urban Seating tufted parson chair is armless and slides under your dining table effortless.